The beginning of any journey starts with simple choices. For the disciples of Jesus Christ, it was choosing to drop whatever it was that they were doing when Jesus asked them to “Follow me.” (Luke 18:22, Matthew 19:21, Mark 10:21). They had to release their known world and enter into something unknown. 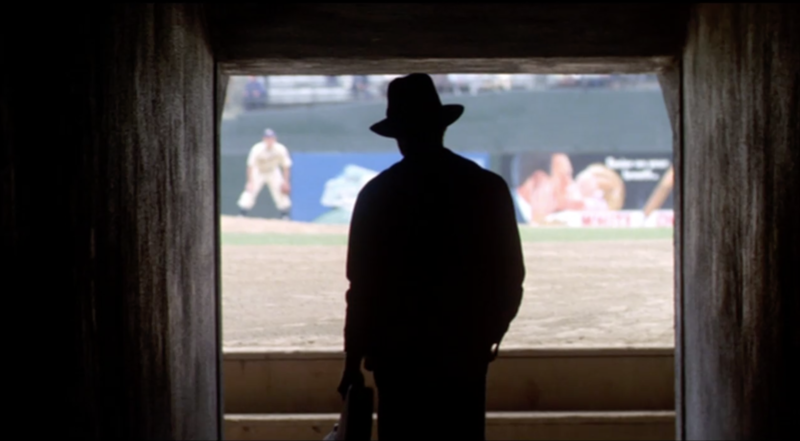 For someone like Roy Hobbs from The Natural, a journey might have two beginnings. Think about the courage Hobbs had to posses to leave the farm the first time to follow his dream of becoming "the best baseball player that ever was." And then, after the horrific ending to the first journey due to a bullet shot into his midsection, Hobbs has the courage to continue on the same journey later in his life. It’s that second journey that has me thinking. In many ways, the first journey we take is fueled by naivete. We believe that we can change the world and conquer any challenge that we may face. We succeed and we fail, and we may even reach the top of the game or a selected profession. Our energy seems without bounds. And then we have a “bullet in the belly” moment like Hobbs. The courage to engage in a second journey, choosing to walk through the runway for another journey, is in there somewhere, but we’re not quite sure if we want to go through it all again. What incredible grace Christ showed His disciples by squeezing their final experience with Him where the arrest, crucifixion, and resurrection all occur within a week! I know for me that seeking and choosing to take a second journey is taking time. It’s taking time to learn, to heal, and to grow. It’s taking time to let God show me where He does and does not want me, and even more time to soak in the lessons He wants to teach me. Often times I wish it had only taken a week. Yet, at the same time, I know that deep spiritual lessons that come from the Lord take time. The same was true for Hobbs. It took him years and years to get back to that level of skill and courage. I do hope, especially in those difficult moments, that any season of difficulty I experience is closer to that of the disciples' timeline rather than Hobbs' timeline. Journeys begin by recognizing you’re in your known world and it’s time to move out of that comfort zone. Sometimes the most important step is the first one, but it sure is a hard one, especially the second time around.